Climate change is happening now and given the fact that we “all” are responsible for the variations of the climate (IPCC, 2007), can we state that we are also responsible for the transformations that some countries are experimenting? European Union Experts has participated at the AfriAlliance conference organized by the info point of European Commission in order to highlight such issues and how they are managed by the project. 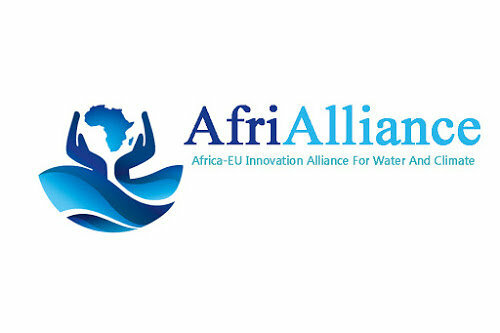 AfriAlliance is led by the UNESCO-IHE (Delft Institute for Water Education) and it has received funding from the European Union’s Horizon 2020 research. The aim of this project is to cope various challenges that Africa will experiment in the next years. Therefore, the country seems to be the most in need in receiving new technologies for tackling water and climate change related challenges. The goal could be achieved with a long-term cooperation among Africa, European stakeholders and civil society working together not just in the water management field, but also thinking about sustainable policies, research, capacity development and investment opportunities. To do so, it is important to differentiate between the short-term goals and the long-termones. Indeed, given the general manifestations of climate change such as dryer droughts, changing rainfall patterns, wetter weather, and warmer temperatures linked also to a more frequent hazards and uncertainty of what will happen, constraints of ecosystems as well as on socio economic systems must be handled. Addressing these points means mobilizing to cope societal challenges, in the short-term period, ensuring food security, water security, energy security and in the meantime assuring the right balance among them. However, the short-term answers cannot be the only ones that the project together with the stakeholders can give. It is right to ensure a transformation of society with a gradual movement to a low-carbon, resilient and sustainable society. Moving in this way is not an easy route in both directions, short-term as well as long-term. For instance, identifying local needsrequires a lot of efforts by involving only in the African area more than 130 stakeholders from 36 different regions. After all, local needs must match the real capabilities of the different actors and the social-economic sector. An example of such various involvements can be found on water managing organizations in Africa which are focused on several fronts: water utilities, civil society organizations, Academia and Rivers Basin Organization. Being engaged in each field means: asking what the real needs are and how to satisfy them, how society could benefit from such intervention and where it is possible to find further aid. Furthermore, is there any other challenge given by actors not considered before? Is it possible to involve enough experts focused on those special needs related to climate change, water and food scarcity? To better cope these societal challenges, AfriAlliance is creating Social Innovation Factsheets combining technological and non-technological innovations to create new opportunities in the water and climate areas, instead of just respond with a short-term perspective. This project consists on putting social goals, government implications and local needs at the top, instead of focusing on economic returns through the top down approach and the bottom up approach (stakeholders’ activities). Working in the wide-spread institutional fragmentation, at the African and Europe scale, but also at the global one, allows being in contact with local and regional authorities, or several actors in the industry, or policy makers, financers and donors, regulators, NGO, or in the research and academy field. Such diversity grants the opportunity to connect the dots at a great level to achieve great results. Working together is the simple answer to increase the African future and then the future of the world. The interaction among the various stakeholders can be also illustrated with a geo-map concerning where the stakeholders are located, how and how much they interact with each other in order to better understand the nature of their engagement. From that map, it is possible to better select the candidates using the snowball method; another way to spread that involvement is for the action groups to consider the application call to the different announcements available on the AfriAlliance website. This way to act could contribute to build bridges among the actors in order to shape an innovative and a sustainable society.